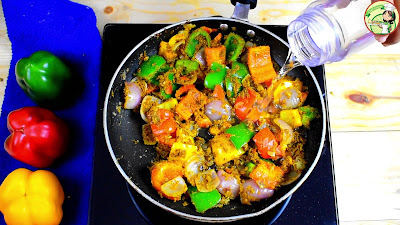 Capsicum Masala | Capsicum curry is a delicious and tasty side dish which can be prepared easily. It is very easy to make with simple ingredients. 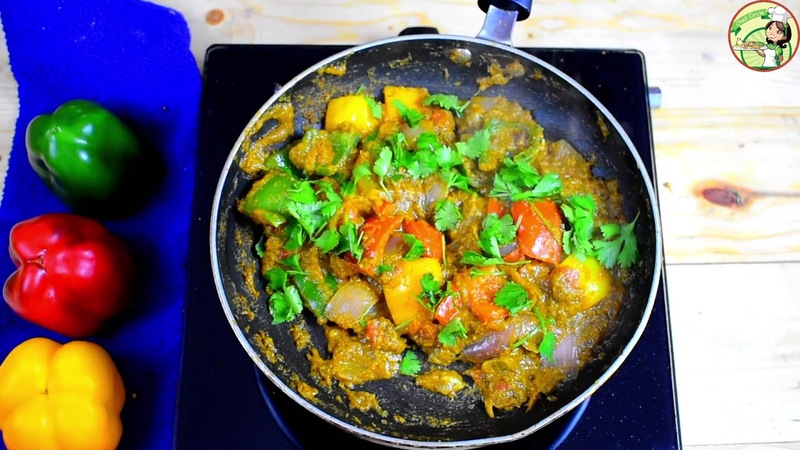 Capsicum Masala or Capsicum Curry is a north Indian famous recipe which is best going with roti and chapati. With a very few Ingredients, you can make a tasty and spicy side dish. 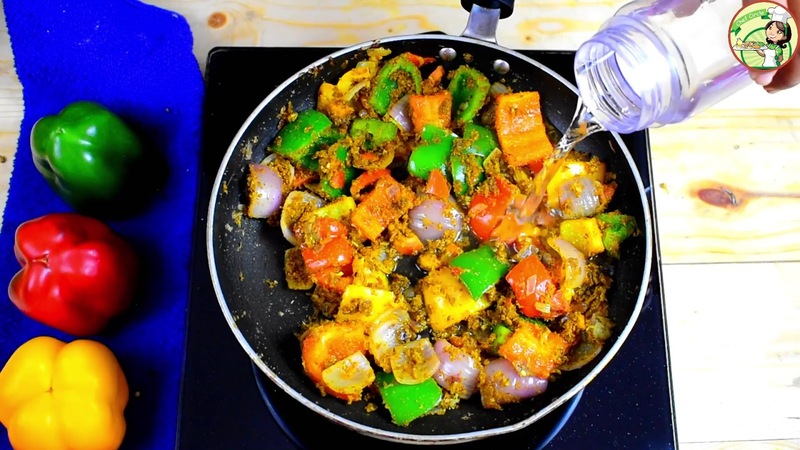 Capsicum Masala is a tasty, spicy and easy side dish. 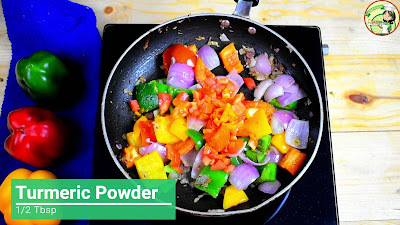 Here I have used Red, green and yellow Capsicum. You can use either one or all. 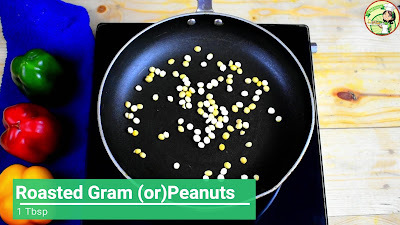 You can also replace the roasted gram with peanuts. 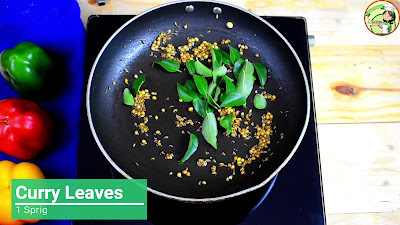 It will give extra tatse to the gravy or curry. 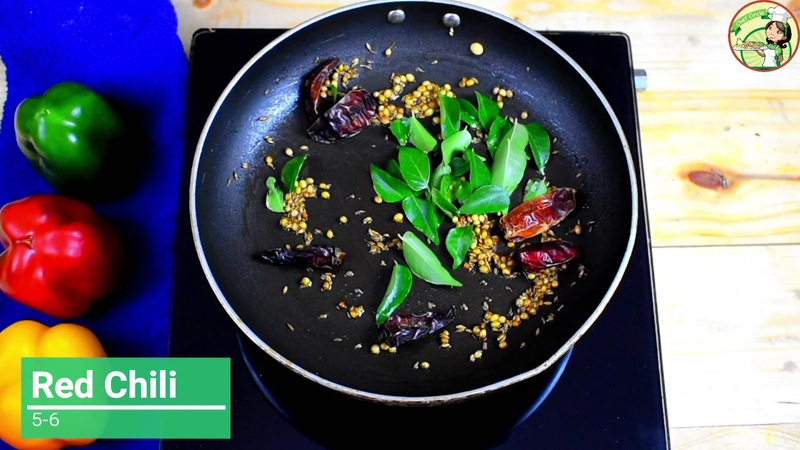 The capsicum masala curry recipe by chefcircle is very easy, so try this simple recipe whenever you want to eat something unique and tasty. 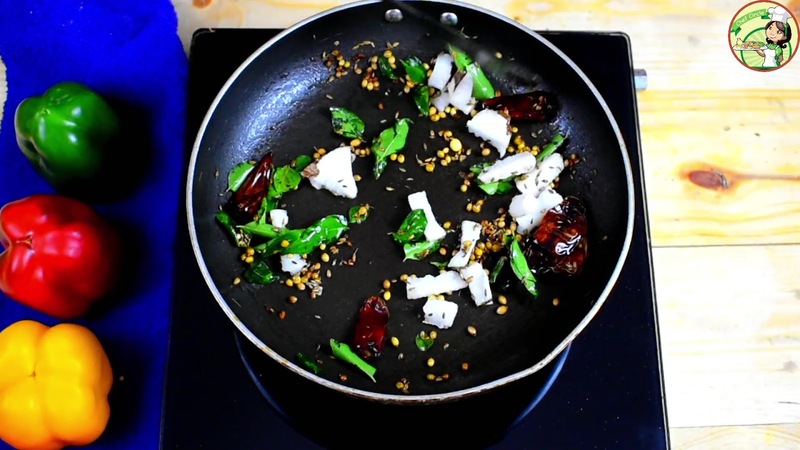 The capsicum masala is prepared with Onion petals and some roasted masalas. 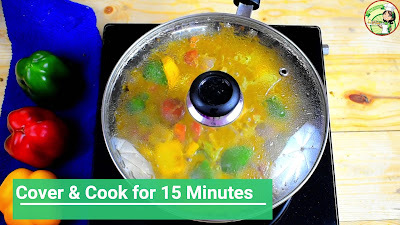 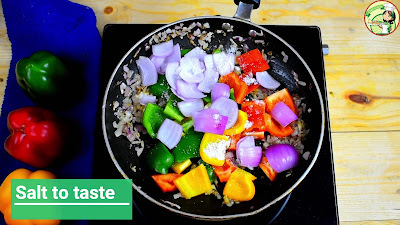 Here I have explained how to make a delicious and tasty Capsicum Masala or Capsicum Curry with a step by step procedure and with a clear photo and video. 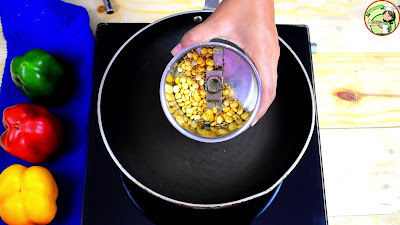 Step 1: Heat pan and add roasted gram or peanuts. Roast it for about 1 minute. 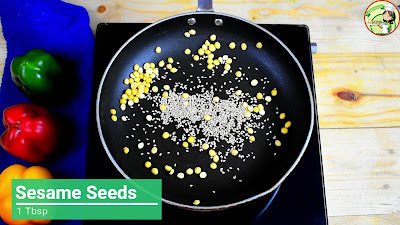 Step 2: Then add sesame seeds 1 tbsp and dry roast it for another 1 minute. Transfer the peanuts or roasted gram and sesame seeds to the mixer jar. 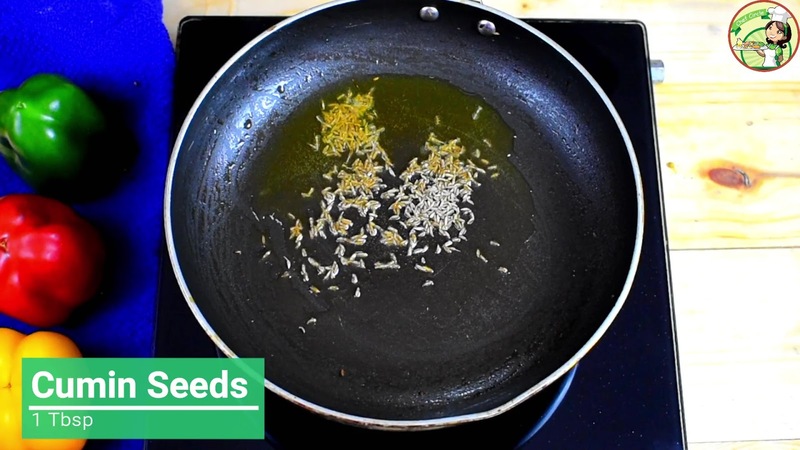 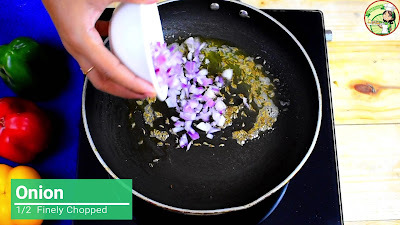 Step 3: In the same pan add 1 tbsp of oil and add 1 tbsp of coriander seeds, 1/2 tbsp of cumin seeds and 1/4 tsp fenugreek seeds. 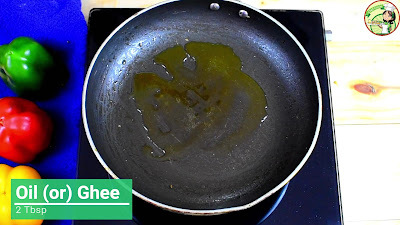 Fry it for 30 sec. Step 4: Then add 1 sprig curry leaves and red chili. 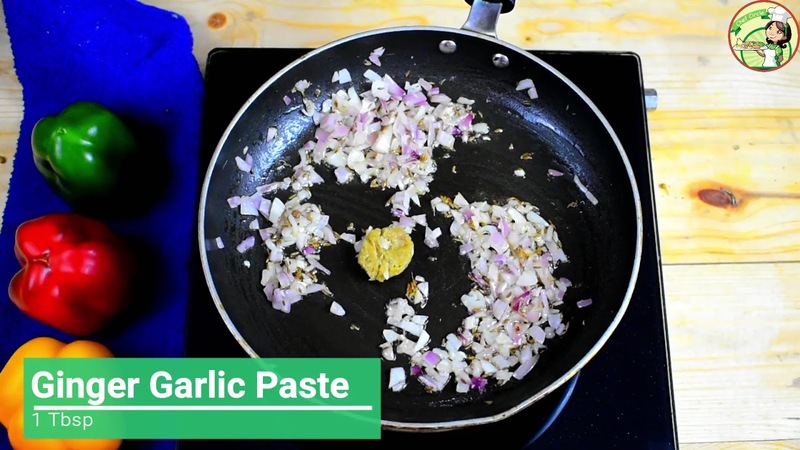 Fry for a 30 sec. 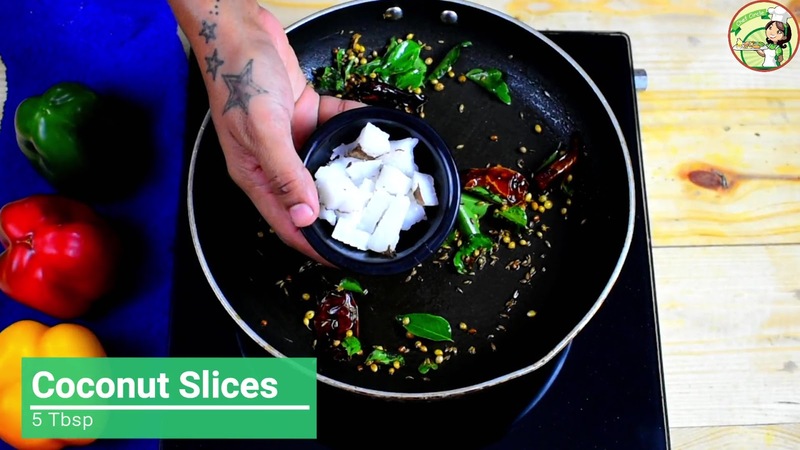 Step 5: Add coconut slices and fry until the coconut turns slight brown in color. 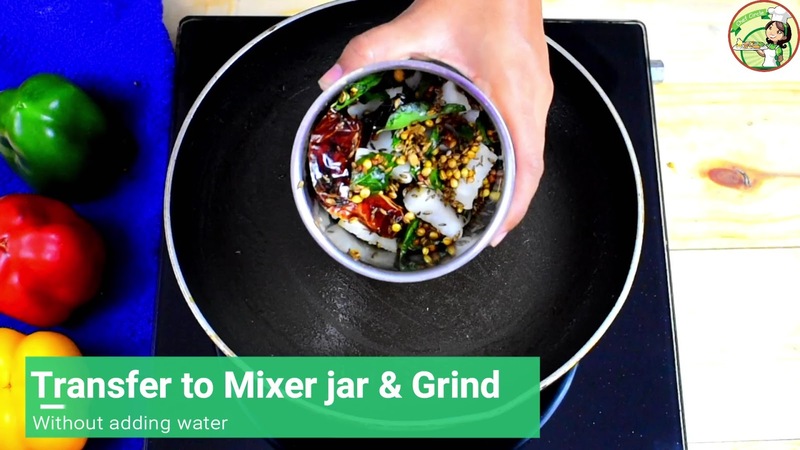 Transfer everything into the mixer jar and grind without adding water. 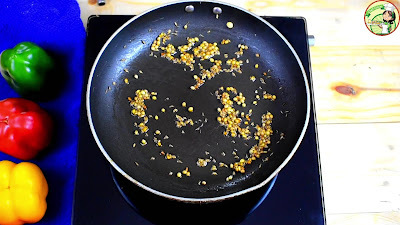 Step 6: Heat pan and add 2 tbsp of oil and add 1/2 tbsp of cumin seeds. 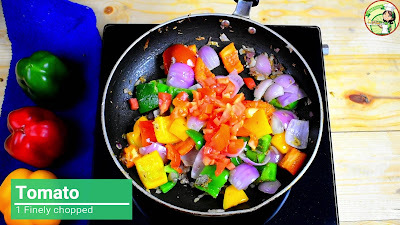 Step 7: Then add finely chopped onion and saute it for a minute. Step 8: Now add 1 tbsp of ginger garlic paste and saute well until the raw aroma goes away. Step 9: Then add cubed capsicum of Red, green and yellow each 1/2 and also add onion petals from 1/2 onion. Step 10: Add salt and fry for 5 minutes. and cook until the capsicum cooked 3/4th stage. 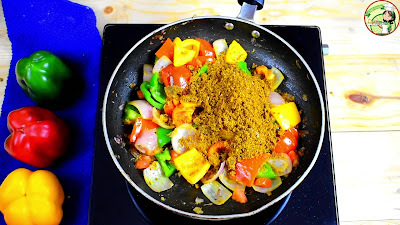 Step 12: Once the capsicum cooked 3/4th then add the ground masala and some water. Mix well and cook for 15 minutes by covering the pan with a lid. 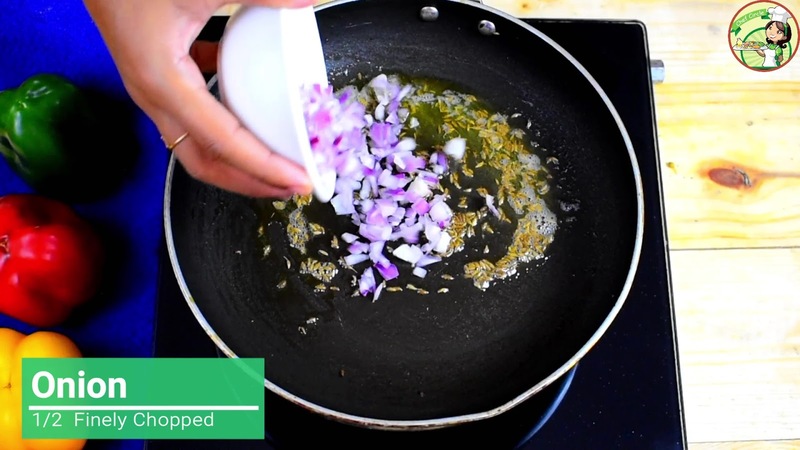 Step 13: Once the oil separates from the masala garnish with coriander leaves and switch off the flame and serve.